I have been on a real estate kick lately. The reason is that my wife and I are selling our home. We have been wanting to do this for some time, but this is the year. Our house actually goes on the market this week, so we are excited. I have talked about improvements to the home, along with home staging tips in order to help you sell. I also spoke about how to tackle a to-do list. One thing that I have spoken much about is how to list your home. There is always a nice debate about hiring a realtor or listing your home on your own. I will share what we did and why, along with the pros and cons of both options. When people start thinking about listing their home, they tend to think of going with a real estate agent. It is a very popular choice, but I think that it is a conventional choice. Real estate agents work on your behalf to find buyers and close the sale. If you have a good Realtor, then you shouldn’t have to do much besides approving an offer and cleaning up lose ends. That being said, here are some pros and cons of hiring a Realtor. They do the legwork. They list your home, take the pictures, and do competitive analysis. They understand the market. Realtors work everyday in the real estate market. They can give you insights that you might not know about, especially if you find one that is versed in your specific area. They handle the marketing. It can be hard to sell a home without some good marketing. You need eyes on your home in order for people to find it. They show your house. There are probably only a handful of people that will buy a house without seeing it. If you need to show you home, then hiring a Realtor is going to be a good choice. They handle the paperwork. I hate paperwork, but Realtors handle the dirty stuff. They handle the offers, then pass them to you. They also handle the back and forth negotiations, as well as closings. They charge a lot! Hiring a real estate agent costs money. They charge a commission that they then split with a buyer’s agent. The typical fee in our area is 6% of the sale price. This can amount to thousands of dollars depending on how much your home is. They can be busy. Depending on who you go with, they might be a very active agent. If they have a lot of listings, then they could very busy, which could put you in a line for service. It wouldn’t be good if someone was interested in your home, but their agent couldn’t get in touch with you agent. Just something to think about. For sale by owner (FSBO) is becoming a popular trend these days. There are many resources online that will help you list your home and give you sample paperwork to write up contracts. For Sale By Owner is a great website that can help you with listing and selling your home. If you wanted to go this route, you will need to understand the legality of your contracts and make sure you have access to a lawyer to handle the legally binding paperwork. It costs much less! This is a big one. One of the big reasons for people to go FSBO is due to the cost. To save on commission costs, you can just list it yourself. While it will cost you to list your home on MLS and others, this will be much less than with a standard Realtor agreement. You own the process. You get to control each and every part of the process. You can choose how you want to list your home, where to list it, and all other aspects. You still might pay a commission. There is a general rule that I found out with regards to listing on MLS. If you list on your own, the rule is you still need to pay a commission to the buyer’s agent. The general fee is 2.4% of your sale price. If you went with a regular agent, that 2.4% comes out of the overall fee you are charged. If you don’t put a commission up, many agents won’t show your home. You are responsible. Selling a home is not an easy process. If you are the one running the show, then you have to be willing to handle every part of the process. If you don’t do it right, you either will not sell your home, or you will delay the process. Your home attachment might stifle you. This is one that is often overlooked. If you are selling on your own, then you might be offended by some of the feedback you receive when showing your home. This can be off putting to potential buyers. Many FSBO homes last longer on the market, because owners are unwilling to lower the price. You could be pricing yourself right out of the market. There is an alternative to using a real estate agent and selling your home on your own. There are many flat-fee listing companies out there that will list your home on MLS, plus many of the other sites like Zillow. They will also handle the closing and showings. There is one in our area that will handle this for just $1,000. This is becoming a popular option for many home sellers. One thing that you need to understand is that you should still provide a buyer’s agent commission if you want your home to be shown. I have discussed this with many agents who are also friends. As I stated, some agents won’t show your home if they aren’t getting a cut of the sale. Think about it. 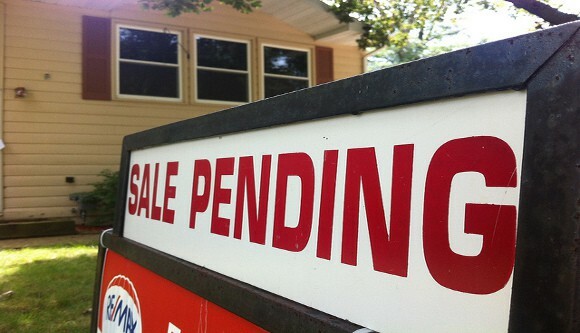 Would you show a home to your buyer if there is one down the street that is offering to pay you? OK, this has gotten a tad long. I am a little winded just writing this. 😉 I will just briefly describe what my wife and I did. We decided to go with a traditional real estate agent. We interviewed many, along with a few flat-fee companies, and came up with one person. This person just blew our socks off right from the start. She understands our area, which most we interviewed did not, along with giving us a competitive fee. She was the only one that was willing to negotiate with us on the commission. She is part of a company that has sold the most home in our area for a number of years. She also brought us a potential buyer before we even signed the paperwork. The main reason we picked a realtor is due to time. My wife and I both work, plus I do a lot on the side. I don’t have time to sell our home on our own. I also don’t have the patience. Trying to sell our home would be too much on my plate if I had to handle it. Not worth it! So, would you choose a real estate agent or try to sell it on your own? What have you done if you have sold a home? I would never try to sell my home myself. Like you and your wife, my wife and I are also very busy. We simply wouldn’t have the time to try to sell it ourselves and would risk making a mistake along the way. When we sell I’m pretty sure we will use the same agents as we used when we bought our house. They know our area really well and I trust them to sell our house for the best price possible. I am with you there. If I had time, I would probably try it, but I don’t know if going FSBO would just put me right out of the competition. We considered buying a home that was FSBO. It would have been nice because they would have lowered the price since they didn’t have to pay a commission for an agent. Great point there Liz. There is more wiggle room when it is a FSBO. We have used realtors. We just don’t have the time or desire to take care of all the nitty gritty details, and the increased speed of the process and less hassle is worth it to us. I agree with you there Dee. There are some things you just don’t mind paying a little extra for. I would always hire a professional to help me buy or sell a house. They know the market, trends and law better than I do. They also have more connections and resources at their disposal to make the property move faster. When you are dealing with a six-figure transaction, it makes sense to pay the commission for a professional. Just make sure he or she is a good one. You last part is important. Make sure they are a good one! Luckily, when you buy, you don’t have to pay, so I would always go with a buyer’s agent. I hired a realtor to make life easier and was really disappointed. They tell you your house will sell for $10M so you give them the listing. Then they do nothing and call you back to say it will maybe sell for $100K but you should not reduce their commission because they work so hard. Then they try to push the lowest price so they sell quickly and make their money. I ended up selling myself. Interesting. Was the commission a flat rate Pauline? If they house sells lower, then my agent makes less, so I would assume they would try to sell it at the highest possible price that will still sell. If I were to sell my own house, my first and biggest concern would be if I handled all of the legal aspects and requirements properly. Yes, as mentioned above, you’d need to engage a lawyer as part of the process, but that still wouldn’t necessarily alleviate my worry that I may forget something that would make me liable for something somewhere down the line. That said, I can definitely see how the potential savings would tempt many a homeowner to go it on their own. I hope all goes well for you and your wife in selling your home, Grayson. May it be quick, painless, and profitable! Luckily for the legal aspects, there are many great real estate lawyers that will help you through the entire process. The site I mentioned actually gives you a comprehensive checklist of what you need to do it right. The biggest legal part is the closing where the money is actually exchanged. Most buyers coming to you are with an agent, so they will help the seller with the contract parts. Every time we sold a home we had a realtor, and it was a painful check to write, but we fortunately picked amazing realtors who truly invested time and money into selling our home, so we felt as though we got a good return on our money. I am not looking forward to writing that check either. My Realtor seems ready to get our home sold. She has already had many potential buyers look at the house and we haven’t even gone on the market yet. I’ve done it both ways and while I have to admit that the FSBO wasn’t too difficult, it was due to a couple of unique situations. A tenant purchased one of the rental units and another was sold to a realtor who called me to ask to buy it before it was even on the market. However, I guess I’m too lazy (have other things I want to do) but even with the commission, using a realtor is my preferred way to go. I simply do not want to go show the property several times a week as well as all the arrangements for inspections, title work, appraisals, etc. that go with the process. In my mind, the realtor earns that commission dealing with all the buyers out there. Great point Kathy. One thing I do wonder is about the Realtor commission. I do think that the standard 6% might be a little much these days since they tend to use the internet to do a majority of the marketing. Those costs are much less than what they used to be. My parents listed their house through a friends relative, so they received a discount on the commission rate. Unfortunately, I think she focused on other houses more because of that. Or she would randomly take a vacation while we were waiting to hear back from potential buyers. That said, it is a very time consuming process, and I would only attempt to sell if I had a really flexible work arrangement. It’s much easier to let the pro’s handle things. Sorry to hear that about your parents experience. I can assume other Realtors might do that due to the lower commission. I would use a realtor. As you mentioned, I think it’s important to find a good one that fits your style. I’ve never sold a home but my neighbor recently tried selling her home FSBO and it didn’t work out. She had to get a realtor and sold very quickly when she did. Thanks for the feedback Raquel. Interesting that your neighbor couldn’t sell their home FSBO, but they did quickly when they got a Realtor. That puts another Pro in the column! As I’ve been looking for a house, I’ve been thinking about a similar topic. I feel that with the resources on the internet, a realtor is unnecessary (well the buyer’s agent more so than the seller’s agent). I’d use a realtor that gives a rebate of the commission or try to get the seller to concede some of his/her commission if I didn’t bring a buyer’s agent. With FSBO, I definitely see there being a lot of work involved in organizing open houses, screening prospective buyers…though for the amount of commission, I think I would consider doing it myself. I’m not sure a realtor always brings value if you are capable of doing it yourself. Although one thing with many FSBO, I’ve heard that they are bad negotiators…because it’s your house and it’s more emotional whereas a third-party will just look at market comps to determine what the fair market value is. Great points Andrew. You are correct on the fact about being a bad negotiator. I have heard the same and I can understand it. You overvalue your home compared to what a third part would. I would never negotiate a professional’s pay. They won’t give you 100% if you do that, and rightfully so. I don’t negotiate the pay for the person checking me out at the store, so I definitely won’t do it for someone handling a six figure transaction. We have only sold one house and used an agency called Help U Sell, which sounds like of like the flat rate service, except it was still on commission, just about half of what traditional realtors were charging. It worked OK. We were responsible for showing the house ourselves, and it was hard not to inject your own personal thoughts and just let people go through at their own pace without hovering. We also took it upon ourselves to advertise in the neighboring town where prices were much higher hoping we’d get someone who wanted an affordable house who would commute. The person who bought our house was a direct result of the ad we placed that had nothing to do with the realtor, so maybe it would have been just as good to do a FSBO. Although, it was nice that the realtor could do all the paper work and make sure the buyer was approved for the mortgage. If I were to do it again, I’d probably just go with a traditional realtor. Our house now is worth more than that one, and I think it would not have as broad of a market to pull from, so a realtor’s connections would be helpful. I have heard of that service. It does sound similar to a flat-fee service. Glad you were able to get a buyer from an ad in town. I do agree that Realtor connections can be very useful when trying to sell your home. Great comment Kathy! You are right about buyer’s thinking that they will save due to commissions, but it is still up to the seller to accept any offer. People will always low-ball you when bringing in an offer, unless your home has a lot of activity on it. We actually sold our home right before Thanksgiving – long/short story – our dream home went up for sale. We sold ours but didn’t get the dream house. You know me – I have a limit – once it went above what we could comfortably afford, we stopped bidding. 🙂 So now we’re looking and we are using a real estate agent and we used the same one to sell our home. They are not cheap, but like you – my husband and I both work and I don’t think we could do it ourselves, so I am willing to pay for expert help. Great tips and good luck with your house buying/selling adventure too! Well, at least you are not paying for the agent to represent you when you buy. That comes out of the seller’s pocket. You do have to put a number on your time when it comes to selling. Holy crap! That is a lot of money. The question is what drove the quick sale? Was it the price, location, realtor connections? For me, my Realtor was doing great work and marketing before we signed the paperwork, so I don’t feel as bad paying the fee. A quick sale is what everyone wants. Would he feel good if his home took 6 months to sell compared to the fee? Best of luck on the sale, Grayson! That’s super awesome that you guys are deciding to put your house on the market. I personally would have done the same thing – hire the professional to make the process as easy for your guys. Time is money, afterall – and if you feel your time is better served working your job-job and then all your other projects, then more power to you. Best of luck and wonderful post! Thank you Anneli! Your rule makes sense. I have to get a good vibe from people I am going to work with. First impressions matter to me. I used realtors to both buy and sell my last house. Purchase price was just under $200k. Sale price was $320k. I bought our current house for $350k. A comp across the street recently sold for $770k. With valuations that high, I am not sure I would want to pay a 6% sales commission. I could handle FSBO with a 2.4% commission to the buyer’s agent, though. We shall see what happens when we really do decide to sell (in probably another decade). That is a pretty big comp across the street. 6% on that price would be too much for my blood, so I would have to figure out how to get a cheaper commission or go my own way. Another service provided by a Realtor is competitively pricing your home. If you go the FSBO route, you can definitely do this on your own. I wrote about how to do that just yesterday. Yeah, I priced my home before I met with a Realtor. The process is pretty easy these days, especially with the many sources on the internet. My price came it at pretty much the same as the Realtor. We’ve been considering selling our place and buying something outside the city so that we could have a little more space, a yard, a parking space etc. When I think about a 6% fee it makes me sick to my stomach. I understand and appreciate the amount of work that goes into selling a home for a realtor, but when you’re talking about $24,000 on a home we just bought a few years ago, the commission will probably make us break even (if we’re lucky). It is a part of the selling price that you have to understand. If you can’t swing it, then maybe think about a flat-fee company. There are these bloggers who I read (YoungHouseLove) who have sold two houses on their own and it seemed like a ton of work. I’d let the professionals do it too. You can’t do everything and while it would be nice to save a few thousand dollars, just making sure it’s done right it worth it! You have a great point Cat! There are just some things that I don’t have time to do. With some research, I would be able to figure it out, but nope! Are you selling and buying another home? If you are you should ask your agent for a 1% credit on the sell and buy price. They can credit it to escrow to lower your closing costs. We did that when we bough our house. We already got a reduction in the seller commission, but they indicated we could get another % if we use them as our buying agent. It would be the same as the credit. We just sold our house in Raleigh by owner in Jan. We went through Zillow and found a lot of prospects. We showed it only a couple times and was able to find a buyer. We found a lawyer that would do the transaction and we each signed the property over. It was amazingly easy! We saved a lot of money! Oh BTW, we are now debt-free, including mortgage free! PTL! Nice work Eric! I am in Raleigh and there have been no one in our neighborhood that has successfully sold a FSBO. Not saying that it isn’t possible, as you have shown. My time means more to me than that. Nice work on being debt and mortgage free!